Your quick and simple resource for spare parts available worldwide for 200 different makes of classic & vintage cars + tech specs of over 5000 classic cars. 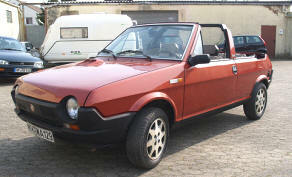 Can't find the parts that you need for your Fiat? We have been sourcing difficult and rare parts for our clients through our network of specialist classic car parts dealers and enthusiasts worldwide since 2006 & boast an excellent record for finding even the most obscure parts for the most obscure cars!! 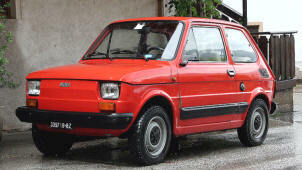 E.mail us with the make, year & engine size of the car & parts required. 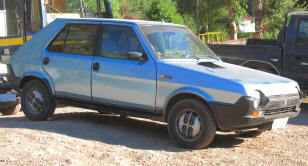 If you can supply us with the chassis number & engine number, plus photos of the parts to be replaced, all the better. We will check availability with our contacts & send you a price quote with no obligation to buy! 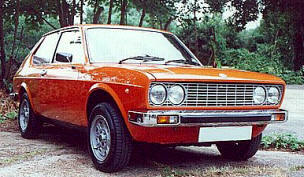 We can now supply high quality, great value stainless steel bumpers for your classic Fiat. Check out the listings in USA, Europe, Canada & Australia for classic car & truck wheels, tires, hubcaps, wheel centers & other wheel related accessories. Remember, most sellers are happy to do international shipping!! Click HERE for direct links. This website has been created not only to help as a way to source classic car spare parts & cars for sale worldwide, but we also have many years experience of importing & exporting classic auto parts and vehicles to and from all parts of USA, Europe, Canada & Australia. If you have bought, or are planning to buy classic / vintage car parts or a car, we can help you with international door to door shipping from almost anywhere in the world at very competitive prices. We can arrange & coordinate collections, deliveries, customs clearance / documentation, local taxes & port handling for all types and sizes of spare parts and vehicles. Please do not hesitate to ask us for a quote, just tell us the part / vehicle year, make / model, present location & final destination to include zip / postcodes and we will get back to you with the costs very soon. Fiat T Shirts . Sweat Shirts . Baseball Caps . Leisure Bags . Watches . Jewelry . Patches etc. 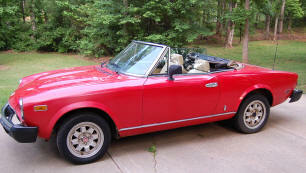 Are you involved in the restoration or repair of a classic Fiat? 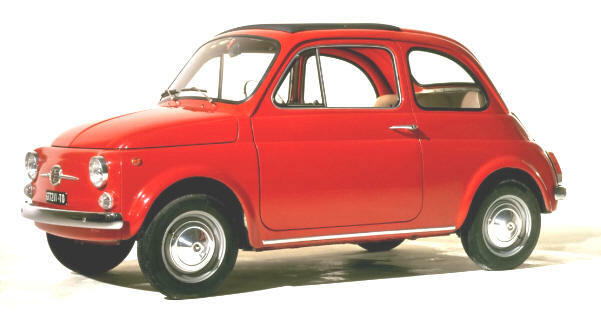 If so, we would love to hear from you with any tips, tricks or general advice that you feel may be useful or important to anyone embarking upon a similar Fiat project. We will publish the info that you send to us on a separate page & link to it from here. If having contacted us & you've checked through the Ebay listings on this page, it may be worth a small investment to join an owners club or two. Many owners clubs have special arrangements with after market parts manufacturers to exclusively offer & distribute parts that are no longer in original production. In addition to the possibility of having a source of new parts for your car, you could benefit by communicating with other club members through online club forums, billboards & ads. You may not only just find the part you need, but possibly obtain valuable information and contacts that lead you in the right direction to successfully conclude your search. It is true that many bargains can be found on online auction sites, but at the same time you can get caught out if you do not follow some very basic rules. Through the most reputable auction sites like Ebay or Catawiki you have the means to contact the sellers of the vehicles or parts up for auction. If you see a vehicle that is of interest to you, but the photos or information is not as comprehensive as you would like, do not be afraid to ask for more detailed photos & info about some of the things not mentioned in the sellers description. If you are truly motivated to buy that coveted classic car through an online auction, do ask questions before committing yourself!! The forty different manufacturers featured on this site include famous names from all over the world like Harley Davidson, Triumph, Norton, BMW, Excelsior & Douglas etc. The scooter greats Lambretta & Vespa from Italy are obviously listed on this site, but also some more obscure names like Zundapp, Puch & BSA etc. 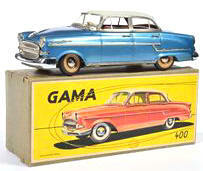 Antique & Vintage Toy Vehicles For Sale. A range of products for sale via Amazon including leather / vinyl cleaners, trim removal kits, sanding machines / discs, windshield repair resin, paint spray guns & cordless polishers etc. Click on an image to see these & many more products to assist you in the restoration of your classic car.